The weather here is still Arctic! We're not equipped to handle this much cold weather or continued snow. The driveways that get plowed have huge mountains at the street. It's supposed to warm up a little tomorrow. I've been knitting. No surprise there! 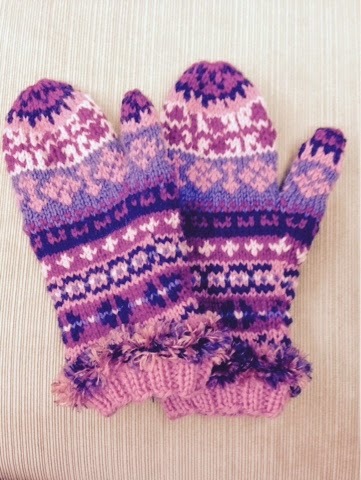 I finally made the mittens I need. The yarn was bought over a year ago when the previous mittens started growing holes. 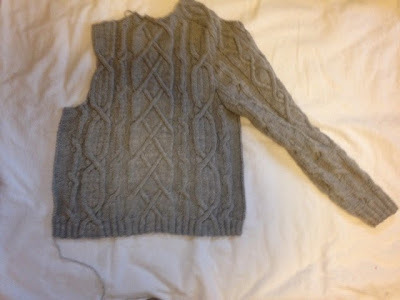 My gray sweater has, not only a back, but two sleeves and two front pieces. I'm working on the front ribbing/collar now, 3" wide. Here's the latest photo from a week or so ago. Can't take a photo now when it is scrunched up on the needle. 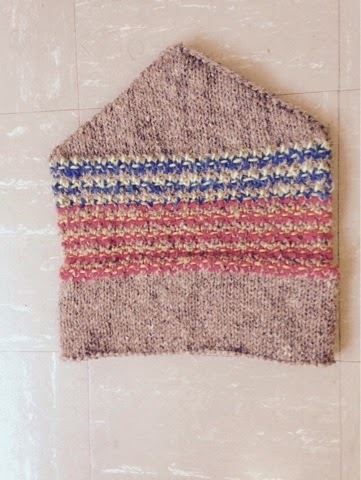 I finished a really warm hat today. I had a request from one family for warm hats as Christmas gifts and have been looking at patterns. This will be a gift for someone, but not the grandchildren of the request. I have something else in mind for them. One of my neighbors got tired of the cold/snow/windchill that is keeping children home from school. There's a chili cook off at her house tonight. My oldest daughter sent me a recipe for Jalapeño Cheddar cornbread. I cooked it this morning. I happened to have all the ingredients. Should be fun.